Family Sharing to make a comeback? 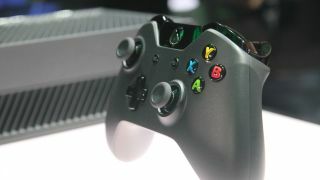 Microsoft's decision to bow to the hysteria and drop all DRM restrictions on the Xbox One console wasn't as worthy of celebration as many deemed at the time - it cost gamers a pretty beneficial new feature. As a result of the now infamous backtrack, Microsoft also cut the forward-thinking Family Sharing scheme, which would have allowed gamers to share their entire digital games libraries with 10 other people. However, all may not be lost. The subject of sharing and trading used digital games has re-emerged as a possibility for the console's future with Microsoft admitting it may reintroduce Family Sharing when the time is right. Xbox Director Albert Penello told Gamespot that more flexibility in the digital games space "has to be part of the experience" if users are to get the same value from downloads as they do from disc-based games. "We were trying to implement the ability to trade [and] loan digital games with your friends which is something that no one else was doing," he said. "Right now, we're focused on launch and we switched the program back to discs, because that's what customers wanted." "I get a lot of mails saying 'god, please bring back the Family Sharing.' We'd love to figure out how to bring that back. I still think it was a good idea. Maybe it was a little too soon for some people, but I still think there were a lot of good ideas in there. And we'll bring it back when the time is right." It's the second time a Microsoft official has hinted at the return of Family Sharing, suggesting the company is still keen on the initiative. Back in June, Xbox Chief Product Officer Marc Whitten said the company wasn't "taking its toys and going home," but instead taking time out to modify its approach. Following the highly-publicised 'Xbox 180,' thousands of fans signed an online petition demanding that Microsoft bring back the features it had cast aside to appease the masses. The petition read: "A new wave of gaming where you could buy games digitally, then trade, share or sell those digital licenses. Essentially, it was Steam for Xbox. But consumers were uninformed, and railed against it, and it was taken away because Sony took advantage of consumers' uncertainty." Damned if you do, damned if you don't, hey Microsoft? Hey, everybody! Microsoft just confirmed the Xbox One release date! Find out when you can get your mitts on the next-gen console.